If you haven't heard of CryptoKitties, the (very) short version is that they're collectible tokens on the Ethereum network that use its smart contracts system—plus ether as gas—for trading/breeding purposes. In fact, the system allows for over 4 billion variations based on genome and phenotype for the digital cats. Think one part Beanie Baby, one part trading card, and two parts Creatures series games, all tied to the Ethereum network, and you've got the basics. For a short period, Cryptokitties were able to ride the same cryptocurrency hype as prices for the digital cats skyrocketed—with at least one selling for over $150K. As with all things crypto, it suffered a crash earlier this year as popularity for trading the non-existent cats understandably fell. 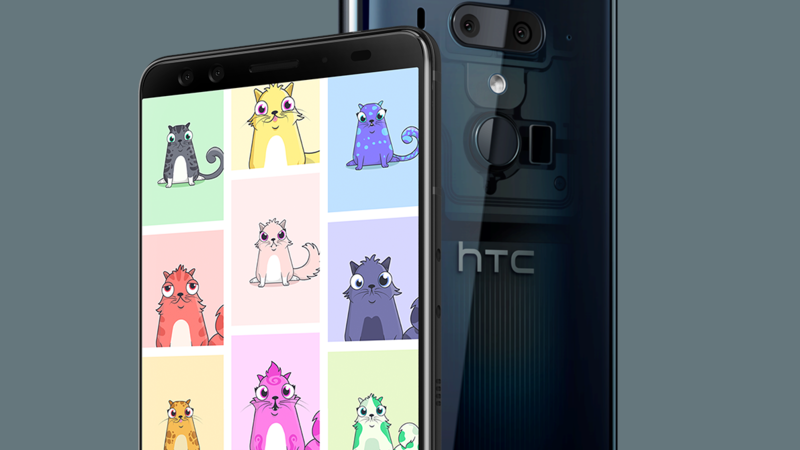 This exclusive partnership between CryptoKitties and HTC is perplexing. To be honest, we're not even sure how it will manifest, as there aren't any useful details provided at HTC's site. All we know is that "the future is meow on the HTC U12+ and many other selected HTC phones," but we don't know if the collectibles are coming as an exclusive/dedicated app, part of a general wallet, or via some other means. Since they're based on Ethereum tokens, at a minimum it looks like HTC will have to provide some type of Ethereum token wallet for people with compatible phones, but the facts so far are as ill-defined as the company's previous plans for the Exodus smartphone. Whatever HTC's plans are when it comes to CryptoKitties or cryptocurrencies in general, the irony of HTC placing such an emphasis on the combined volatility of collectibles trading and cryptocurrencies in the midst of its slow death is not lost on us.